So I am here today to show you my amazing purse I just purchased! 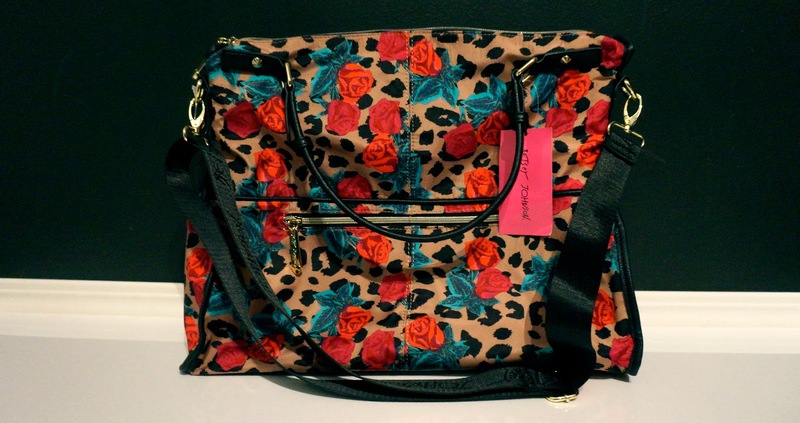 So I had been to Winner's on Valentine's Day with my friend Lauren and I saw this purse there! As soon as I seen it I feel absolutely in love with it, it was the most beautiful thing I had EVER seen! But of course, I didn't purchase it that day, sadly! Instead it took me until a week later hoping that the purse was still there so I could buy it because I could not get it off of my mind! Thankfully, as you see this story has a happy ending. The purse was there when I came back and I purchased it right away! Here is one side to the beautiful purse! There's a cute little zipper pocket part to store little things, perhaps your keys! This purse is made of fabric, not leather. Which I love about it because it's very similar to my last purse but a lot for flexible and just a bit bigger! It comes with a removable long strap, and then two handles on the sides. I love using the long strap though, so it shall stay! 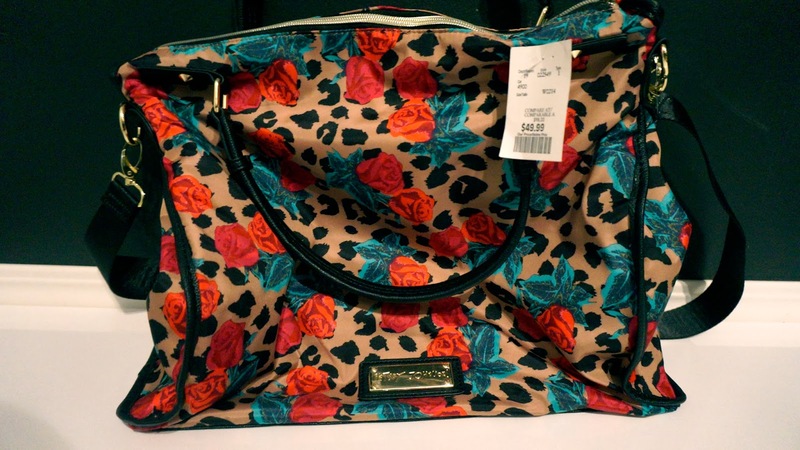 The other side of the bag just has the cute Betsey Johnson logo on it, very simple and cute! 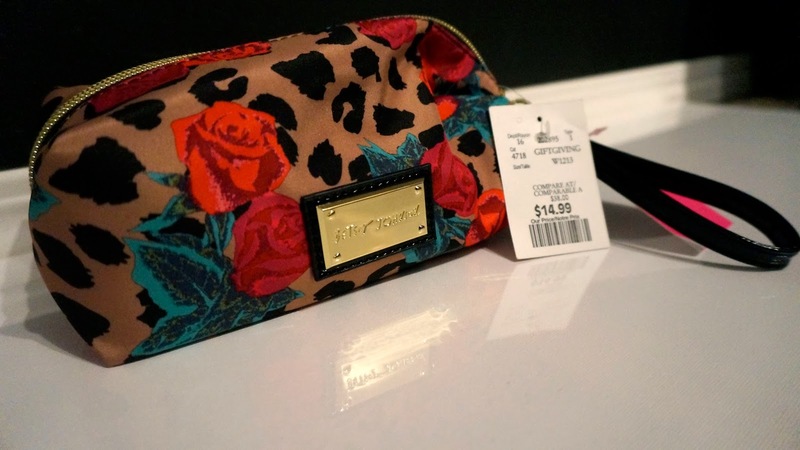 As you can see I purchased the purse for $49.99, really fairly priced! 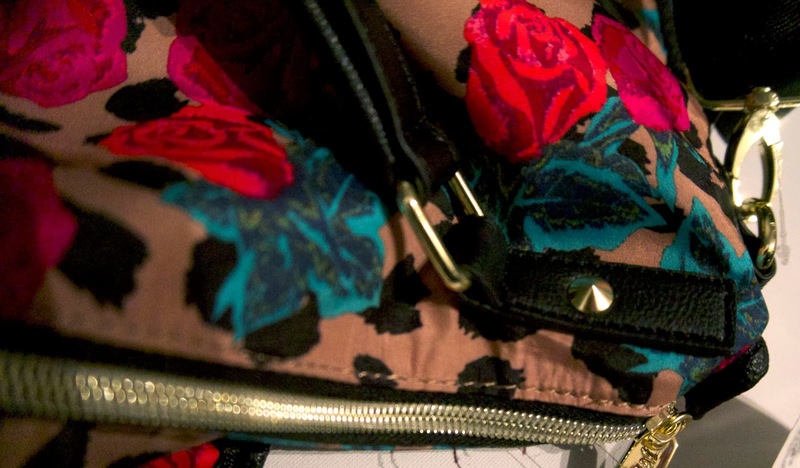 A few of my favourite things about this purse is the details! Simple spikes on the handles, the ends of the zippers have hearts of them, and the actual zipper itself is gold and it's so beautiful! Everything about this purse flows so nicely! AND THEN! In another aisle I saw the matching cosmetic bag! 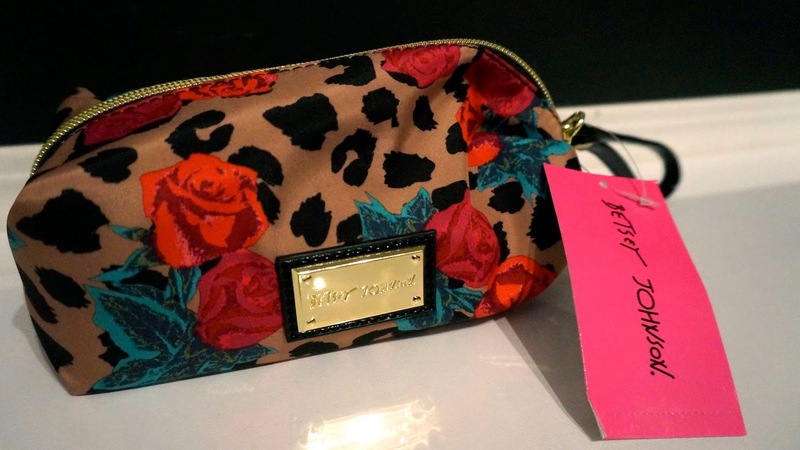 So I obviously had to grab it, who doesn't need the matching cosmetic bag, right?! I was actually SO excited to see it, because it was perfect just like the bag! Although I thought $14.99 was a bit pricy for it I bought it anyways because I love to match! There you have it kittens! My new love, for now anyways! It will be included in the next haul I do so you will be seeing it again!